When looking to change the style of any room in your home, the easiest way to change it up is by finding the perfect area rug for your room. It’s so much easier than painting and changing the layout of the entire area! How do you know which area rug is right for your space? What size of area rug should I get? There are so many options and price ranges that it can be overwhelming when you start shopping around. 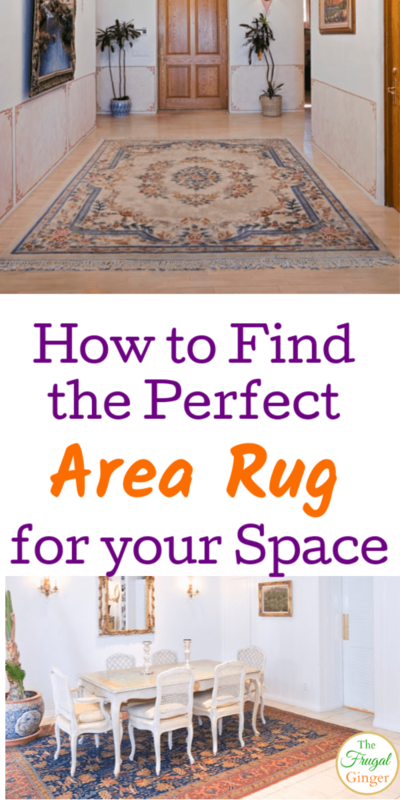 I have come up with a list of things to keep in mind to finding the perfect area rug for your space so that you don’t have to return 5 different rugs before you find the one you love. Decide on color, size, material, and price range before you even start looking around in stores or online to save you a ton of time! Living Room: Have all of the furniture sit on top of the rug or all of the front legs of the furniture to be on the rug to make it cohesive. Bedroom: You want your rug to frame the bed so choose an 8 x 10 rug for a queen bed or a 9 x 12 rug for a king size bed. Dining Room: The shape of your table will decide the shape of the rug. A round table will look best with a round rug and a square or rectangular table will look best with a square or rectangular rug. The rug should be large enough that the chairs still sit on the rug even when pushed back from the table. You don’t want the chairs to wobble while you eat dinner! If you have a really large room, you can break it up with two or more rugs instead of spending a fortune on one huge rug. If you have fallen in love with a rug that is too small, you can layer it over a larger less expensive base rug. This will help cut back on price since you could get a smaller statement rug. Ikea and Target have some less expensive beige or cream rugs that could be used under the statement rug. Finding the perfect area rug for your space also includes the perfect material. There are a lot of different types of construction methods used to make the rugs so you want the one that is right for you. For example, Tufted rugs tend to shed more than other types of rugs and Shag rugs can be harder to clean. If you want a light weight rug that can be reversible, look for a flat-woven design. They can be reversed since there’s no backing. If you are looking to put a rug in the entryway, staircase, or hallway look for a rug with a tight weave to handle the pressure of the high traffic. If you have kids or dogs, you may want to look into buying an indoor/outdoor area rug. These are great because they are very durable and can be cleaned outside with a hose. I show you how to clean an indoor/outdoor area rug to see how easy it can be. If you know that the kids or pets are likely to cause stains, look for a rug that has a busy pattern as it will be easier to hide the stains. Target: They usually have sales on home decor a few times a year. Look for extra savings on the Cartwheel app if you are shopping in store. If shopping online, you will get free 2-day shipping when you buy with your Redcard. Plus, all Redcard holders save 5% off their purchases every single day. Kohl’s: I have gotten some great area rugs for under $50 at Kohl’s! They always have some kind of sale going on and you usually get $10 in Kohl’s cash for every $50 spent. It is worth it to sign up for their credit card because several times a year they offer 30% off and free shipping when you use your credit card on top of other savings! Just make sure to pay it all off at the end of the month to avoid paying interest. 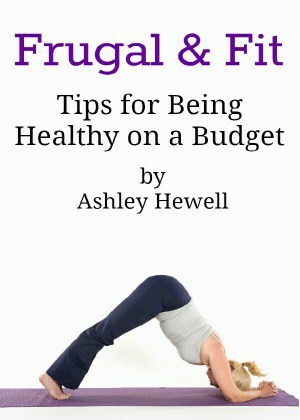 Amazon: For a wide variety, check out Amazon. You can search in different price ranges and if you are a Prime member, you get free shipping! Some other places to look are any rug outlet shops, At Home stores, Ikea, and Homegoods. They usually have some affordable options. No matter where you shop, always shop through Ebates to save even more on your order. It is free to sign up and use and you get a bonus $10 in your account when you make your first purchase of $25 or more. I hope that these tips will help you in your quest to finding the perfect area rug for your home. It really is the easiest and quickest way to change up the look of any space.